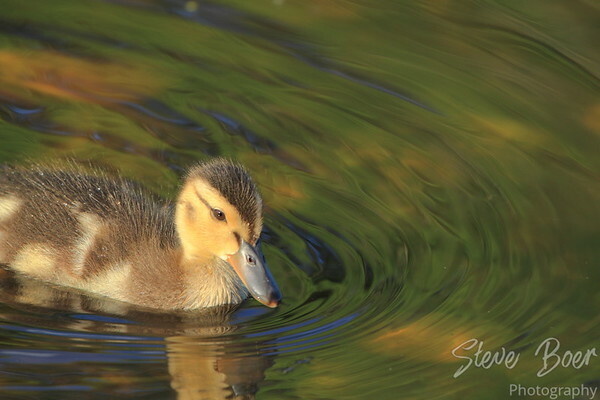 Today’s duckling is the same guy as yesterday just from a slightly different angle. What I like about this photo is the way the water looks with the ripples and reflection. and sharp focus on the eye! Nice to see water without the mucky-muck!